Alan Davie was born in Grangemouth, 1920, his father a painter and printmaker. Between 1937 – 40 he studied at Edinburgh College of Art where he won several scholarships. After a period spent serving in the army he worked as a jazz musician, while developing his interests in writing poetry, designing and making textiles, ceramics and jewellery. His influences have always been diverse and by the time of his first solo exhibition held in Edinburgh, 1946, his interest in the works of Paul Klee and primitive artists was apparent. By 1947 his work was considered groundbreaking, with successful exhibitions held in Florence and Venice. During this period the collector Peggy Guggenheim became a major supporter and throughout the next ten years he exhibited widely in some of the worlds greatest public and commercial art galleries. Gimpel Fils Gallery in London began representing the artist and his work in 1948, starting a relationship that has continued since then. 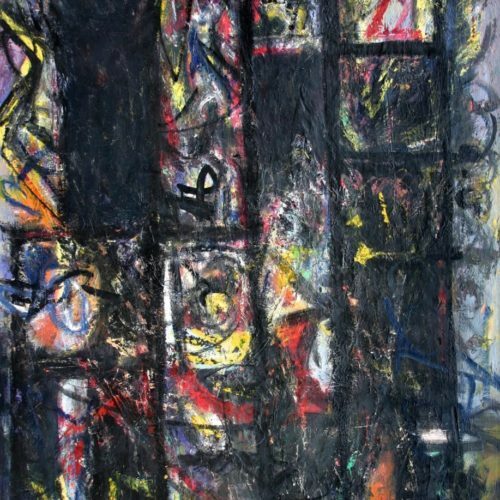 His first New York exhibition was held in 1956 and from this time he met Jackson Pollock, and Mark Rothko. During 1957-59 he was Gregory Fellow at Leeds University. 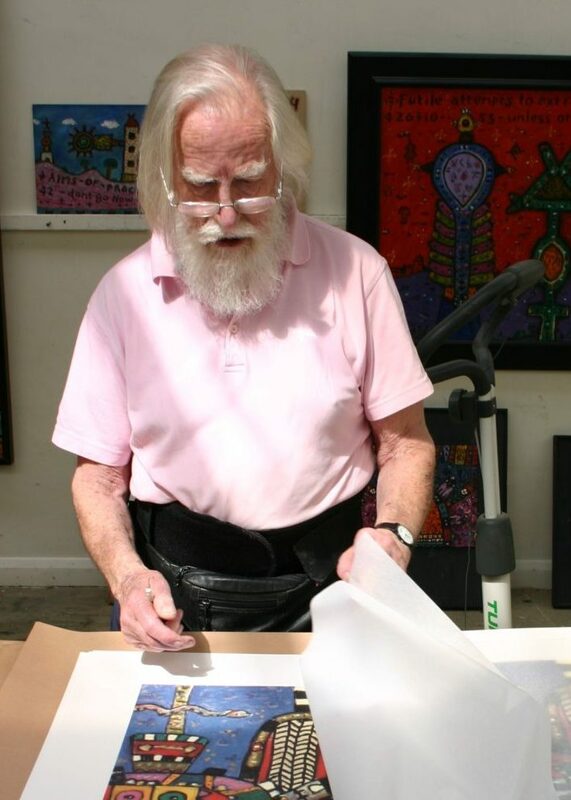 For over 65 years Alan Davie exhibited internationally, with his work held in many of the worlds major public collections. 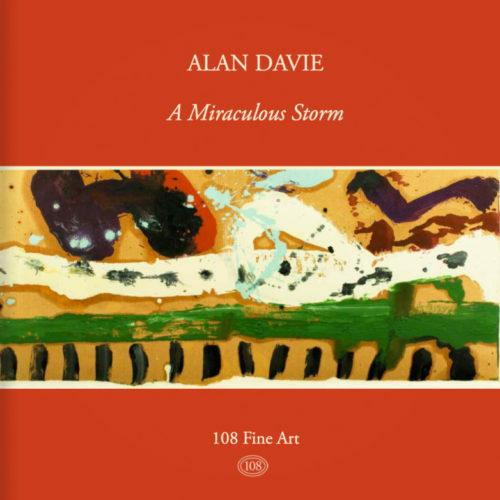 In 1972 Alan Davie was awarded C.B.E. and in 2014 he became a Senior Royal Academician. 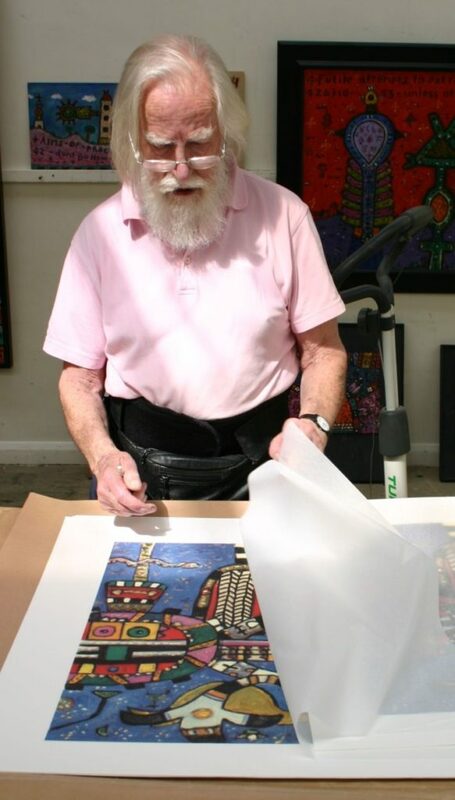 Alan davie died in 2014 and in the same year a major exhibition of his work was held at the Tate Gallery.